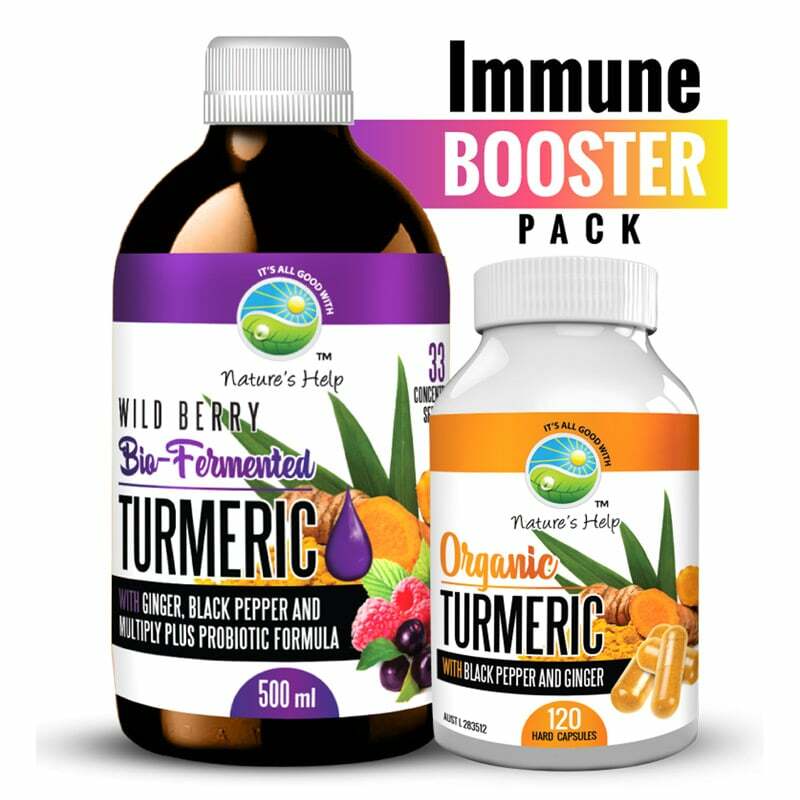 Naturally boost your immune health with this bundle pack! We are currently awaiting our next delivery of Turmeric capsules which has been delayed due to the Easter break. All orders containing Turmeric Capsules will be dispatched on the 1st of May. Naturally rich in Lactobacillus, Acidophilus and Enzymes. Probiotics are live bacteria and yeasts that are good for your health, especially your digestive system. We usually think of bacteria as something that causes diseases. But your body is full of bacteria, both good and bad. Probiotics are often called “good” or “helpful” bacteria because they help keep your gut healthy. Naturally rich in enzymes, this unique probiotic formula with curcumin, the main active ingredient in turmeric, has powerful anti-inflammatory effects and is a very strong antioxidant. Turmeric is said to dramatically increases the antioxidant capacity of the body. This product also includes bio-fermented papaya leaf and fruit extract which supports a healthy digestive system. Bio-fermented papaya fruit and leaf extract is probably one of the strongest and most concentrated immune boosting foods available.